Thread: The Links Box - The whole lot! Hi-Fi World Magazine - The UK's expert audio magazine. 2ndhandhifi.co.uk, the UKs largest selection of used audio equipment under one roof. Absolute Analogue - A distributor and manufacturer of high quality hi-fi equipment and accessories. Absolute Sounds - International hi-fi distributors and consultants. Adventures In Hi-fi - Chester-based dealer of quality home audio and hi-fi systems. Affordable Audio Magazine - The E-zine for frugal audio enthusiasts. Alium Audio - Distributors of 'Consonance' by Opera Audio, and Gemme Audio (Canada), a wide selection of everything from the speaker, back to the source, specialising in 'Linear' CD players. Angelsound Audio - Specialising in products which have all been chosen for their unique musicality, a slightly eclectic collection! A.N.T. Audio - Alex Nikitin Technology; A home-based project to implement some new and unorthodox ideas in audio electronics. At the moment it is only a little more than a hobby. Artisan Audio - Explorers who are fascinated by the way components of an audio system interact with each other... with very pleasing consequences. Audiocircle - High quality forum encompassing all aspects of audio. Audiocom International - Audiocom specialise in CD, DVD & SACD player modifications in addition to upgrades for Hi-Fi, music servers & home cinema equipment. Audiocraft - UK importer and distributor of high end hi-fi equipment. Audiolincs - Reproducing beautiful music - beautifully. Audio Reference - Exclusive UK distributor for the finest hi-fi equipment from around the world. 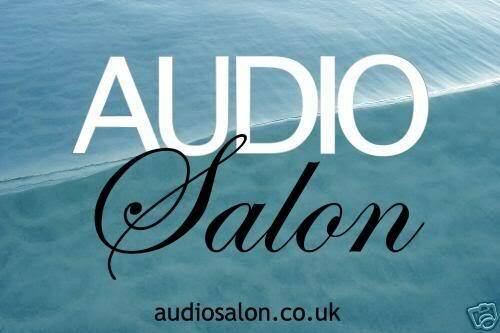 Audio Salon - Scotlands first and foremost hi-fi dealer since 1979. Audio Voice Acoustics Forum - An excellent forum encompassing horn loaded speakers and all related paraphernalia. 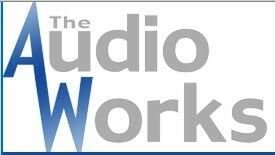 The Audioworks - Specialist hi-fi dealership based in Cheshire. AVI Hi-Fi - Audio engineering excellence; Manufacturers of award winning electronics and speakers, big advocates of computer based audio. Avondale Audio - Naim enthusiasts for over 20 years! Beresford Media & Electronics - Manufacturers of the superb five star awarded TC-7510 DAC and related digital products. Brilliance Hi-Fi - Discover astounding audio and video with Brilliance Hi-Fi’s range of phono leads, hi-fi and av cables designed for both audio and home cinema enthusiasts. CableZoo - Specialists in selling high quality interconnects, speaker cables and accessories to audiophile, Hi-Fi and AV customers. The Cartridge Man - Involved with all aspects of analogue reproduction for over 30 years - from record production to the manufacture of high quality phono cartridges. Central Audio - Hi-fi specialists in the Birmingham area since 1997. Coherent Systems - Hi-fi and Audiovisual specialists with unparalleled experience. Computer Audiophile - A site dedicated to discussion and technology related to computer based audiophile sound reproduction. Concerto Audio - Offering a refined selection of Amplifiers, CD Players, Loudspeakers, Interconnects, Speaker Cables and Accessories. CPT Acoustics - Over 15 years experiance in design and modification of audio equipment, CPT Acoustics Ltd provides a cost effective service to upgrade your existing components to unprecidented levels of performance. Croft Acoustics - High quality amplifiers hand built by Glenn Croft for over 25 years. Diffraction Be Gone - Manufacturers of baffle fascias to remove random waveform reflections. The Funk Firm - Specialist manufacturers of a variety of radical turntable upgrades, and the all-new Funk Sapphire turntable. Green Home Electronics - UK based company that buys, repairs and sells quality used hi-fi equipment. Guildford Audio - A professional, customer-focused dealership in the Surrey area. Hawk Audio - Great shop for the DIY audiophile hobbyist. Hawthorne Audio - Dedicated to the design and creation of high performance audio related offerings. Heathcote Audio - A small company specialising in hand picked high quality hi-fi stereo equipment, the majority of which is one owner/ex display and boxed. Henley Designs - UK distributors of quality hi-fi, DJ & AV equipment. Hi-Fi Collective - Excellent shop for parts, kits, electronic components etc etc. HiFi+ Magazine - Reproducing the Recorded Arts. HiFiSounds - A superb website dedicated to component modifications, and to the quest of audio perfection. High Fidelity Tubes - Vintage Tube Sales, Datasheets and Forum. Hi-Fi Works - Cornwall based family business supplying vintage hi-fi, valves and more obscure items. High End Cable - For the finest in high end cables, from the likes of Nordost, Ecosse and Chord. KAB USA - Specialist modifications of Technics SL-1210 direct-drive turntables. Fully modified examples sold, or modifications sold seperately to enthusiasts worldwide. Principal Tannoy UK spares and service provider in UK and sole supplier of obsolete and Vintage Tannoy product. Spares agent for Epos, Mordaunt-Short and TDL product from 20th Century. Mad England - Specialising in high end cables, loudspeakers and other fine tweakery. Mains Cables R Us for Audiophile Quality Home Cinema & Hi Fi Mains Leads. Speaker Cables, HDMI, Phono, Digital Cables & Accessories. Mark Grant Cables – Suppliers of professional audio, video and hi-fi cables. Midland Audio Xchange - Specialists in analogue and vinyl playback. Mike New Audio - No Compromise High Precision Upgrades for Technics SL-1200 & SL-1210. The Missing Link - Specialists in high quality digital and analogue interconnects, speaker cables and mains solutions. Musicology - Sole UK agents of top quality hi-fi from the likes of EMM labs and Zu. Norton Tech - Manufacturers of the upgrade AirPower turntable power supply for the LP12. 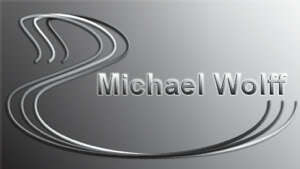 Paul Hynes Design - Design, consultancy and custom builders of high end audio amplification and custom power supplies. Phonography - At Phonography, we aim to make available the very best audio products to provide superb sound quality in the domestic environment, whilst offering outstanding value for money and reliability. Practical Devices - Manufacturers of exceptionally high quality headphone amplifiers with built-in DACs. Pure Sound - Distributors of a range of electronics, supplies spare parts for Heybrook & JPW Loudspeakers, and a bespoke valve amplifier design and manufacturing service. Radford Audio - Discover the latest Radford Electronics designs of Valve (Tube) amplifiers and Transmission Line loudspeakers coming to a retailer near you, soon. Watch this space. Robson Acoustics - Manufacturers of mind numbingly high quality speakers using ribbon tweeters. Russ Andrews - Manufacturer of mains & speaker cables, interconnects, power supplies, supports and more. 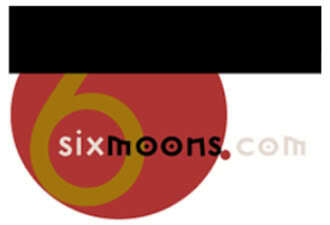 6moons - An excellent website for music lovers and audiophiles; featuring news, reviews, letters and industry insight. Sound Deadened Steel - Specialists in providing noise and vibration reduction solutions using materials and techniques that provide cost-effective and practical results. Sound Hi-Fi - Turntable, arm and cartridge specialists. Modifications for both the SL-1200 and SP-10 available. Knowledgeable people mostly available for a chat. Stamford Audio - Specialists in new & collectors vinyl LPs, record cleaning & high quality Hi-Fi. 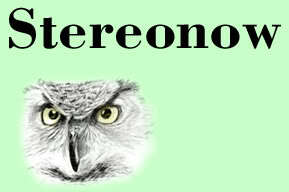 Stereo Now - Calm and intelligent equipment demonstrations for lovers of all types of music. Studio96 - Digital media specialists, providing music, video and DVD services with a difference. We strive to provide a unique, original and professional service for your needs. This Day In Music - See what was No.1 on the day you were born. Daily music history. TNT Audio - Online hi-fi reviews, DIY, tweaks, tests and much more! Triode Systems - An audio and Hi-Fi site containing a number of audio and diy related articles on-line. 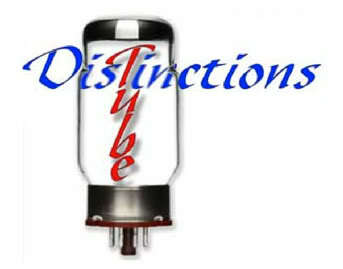 Tube Distinctions - Design, build and repair serious tube amplifiers. Run by Anthony Matthews -aka AnthonyTD- (over 20 years experience in high end audio). Turn Me Up - A non-profit music industry organisation campaigning to give artists back the choice to release more dynamic records. UKD - Importers and distributors of top quality Italian hi-fi. Wolff Audio - Manufacturer of fine power cords. World Designs forum - Home of valve aficionados and World Designs high quality valve equipment and loudspeaker kits supplied worldwide. Simply PM any of the admin team by clicking on one of the names below, send us your link, we'll approve it and add it here for you. These links can also be found alphabetically sorted under 'A', 'B-M' & 'N-Z'. Evolution: One man's preposterous and non-sensical hypothesis based on the death of his daughter, now sadly taught as fact. Evidence to the contrary.